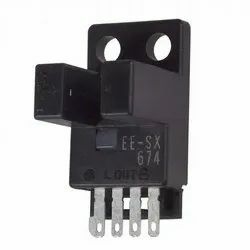 Providing you the best range of inductive cylindrical, m 12 npn inductive sensor, ee-sx670 slot sensor, ee-sx671 slot sensor, ee-sx672 slot sensor and ee-sx673 slot sensor with effective & timely delivery. Supported ourselves with proficient amenities, we are readily instrumental in providing an inclusive variety of Inductive Cylindrical. 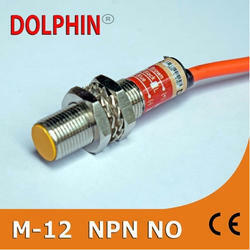 To furnish the varying desires of our customers, we are immersed in offering a world class consignment of M 12 NPN Inductive Sensor. Global Standard Slot-type photo micro Slot sensors enable switching between dark-ON and light-ON operation. • Response frequency as high as 1 kHz. 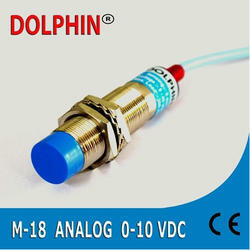 • Easy operation monitoring with bright light indicator. • Models in which the light indicator turns ON for dark-ON operation are also available. • A wide range of variations in different shape for wider choice . Looking for Slot U Shape Sensor ?